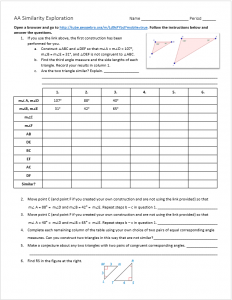 Use Geogebra to determine if triangles are similar when they have two pairs of congruent angles. 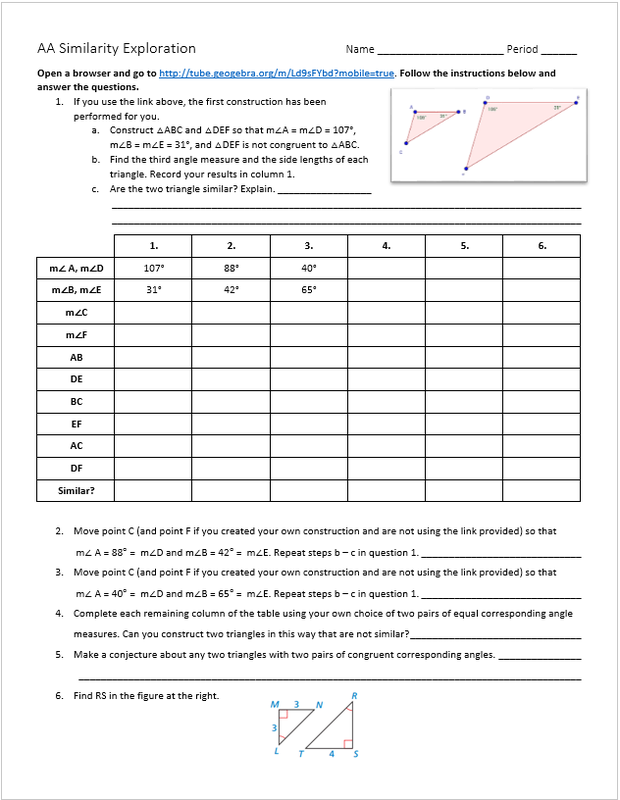 The exploration sheet and this Geogebra applet will start you on your way. The investigation sheet is available for download.